Botanica Kimbisa Nkisi Oricha Mintverse. Botanica Kimbisa Nkisi Oricha mintverse creations. NkisiRing, mint 999 pure silver Charm from Kimbisa Ntoto from bioenegetic and holistic health protection. These Nkisiring is a spiritual assistant charm to capture inmediate attention to everyone who see it and clean bioenergetic obstacles and improve holistic communication. 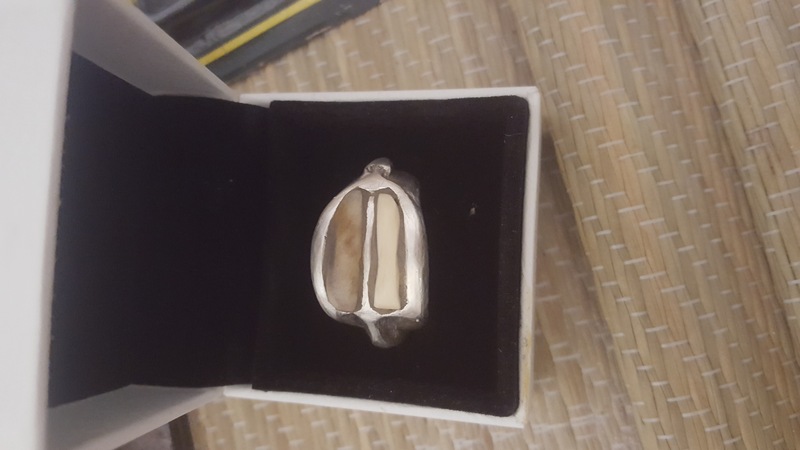 Fine 18.3g pure 999 silver mint ring exclusive edition from Kimbisa for you for just $99 plus shipping with the Kimbisa satisfaction guarantee 30 days replacement or refund. Available in whole sizes from 7 to 16 it's an extraordinary ring. NkisiRing Kimbisa Nkisi Oricha 999 fine Jewelry creations. Silver is associate with the Moon and Gold with the Sun powers. Obatala change the Gold for Silver, the most alkaline of metals because his virtue to purify the water and the human body is 74% water and pluriversal matters on Oricha frequency. Water and candle. Obatala cambio el oro por la plata. One once of 999 pure silver can purify 10 gallons of water on 2 hours. El Oro y La plata puros - mint 24 kilates y 999- son metales preciosos que nunca pierden su brillo y color, no se manchan, aunque su naturaleza blanda y susceptible a raspadas y abolladuras por causa de golpes --cada huella que muestran es su historia--,estimula que la joyeria comercial para ganar dureza los mezcle con otros metales --que aunque nobles--, reducen su pureza y poder sanador desvirtuando su valor energetico. 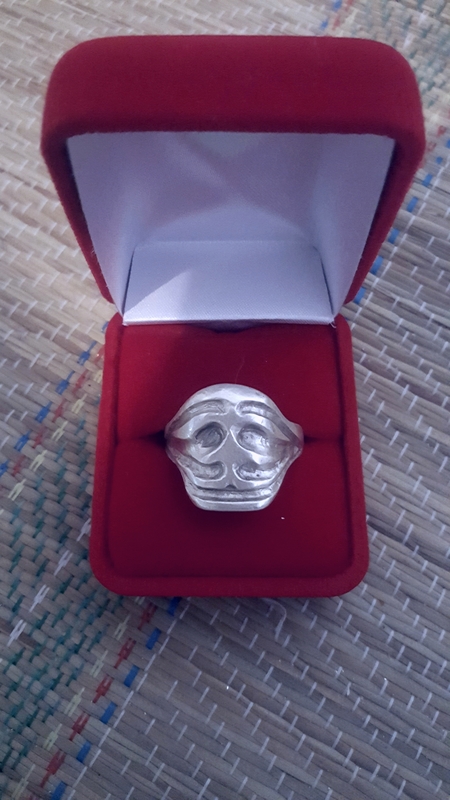 NkisiRing es fundido en plata pura 999 fine from uncirculated mint coins- preserving the healer power of silver on a ring connected with the Oricha protection of Obatala Kingdom. Nkisiring es plata pura activando ionicamente el agua del cuerpo bioquimico. Cada NkisiRing es certicado 999 fine y la Poliza de Kimbisa. You can order with confidence: our 30 days satisfaction guarantee return for a replace or refund. NkisiRing: mintCharm to dress powers.